One of the things our subscribers have said that they find most useful are the layered PSD files that we include with each image-based tutorial. As such we’ve now released a large collection of low res’ PSD files. Each image is between 800px and 1000px wide, and has been selected from those that have previously been published on chromasia. They are provided ‘as is’ – just the file, with little or no explanatory text – but will help you work out how each image was constructed. Annual subscribers can download these from the relevant members’ page and can request that specific images be added to the archive via the members’ forum or comments thread. For further information on our image-based tutorials, Digital Workflow, and Creative Workflow tutorials, please click here. How do I subscribe to the Mini-PSDs? To subscribe to our tutorials, and gain immediate access to our Mini-PSDs, and our entire range of tutorials, Critique Slot Screencasts, and other content, you can use the PayPal button below to sign up. Alternatively, take a look at our main tutorials page or see below for further details. As an artist, you are an inspiration. As a teacher, you are beyond generous. Thank you so much for sharing your "process" in creating some of your great photographic work!! I spend a lot of time poring over these minis (as much as I do the full length tutorials). Having very little experience and natural ability in photography and post-work, your examples have helped me improve A LOT in a fairly short time. One thing that I really appreciate about the minis is that in fairly short order we could have a "reference library" that would enable us to search for solutions among your corrected images for problems we are facing and are unsure how to resolve. I also wanted to mention that I looked around the web a lot for an inspirational teacher before finding your site. You remain my favorite teacher, I love your sensibility and despite my very slow and stumbling progress your work and imagination inspire me to keep moving forward. I really thank and appreciate you for that. I have learned a tremendous amount from these mini-psds. I feel that they are the catalyst for taking my photography to the next level! Thanks David! I think this is a really good feature - probably one of the best aspects of the site, tbh - really informative. Thanks for sharing them! I really like this new feature, it is amazing to see how easy you make it and how the magic is coming up for an amazing work, really really apreciated all your efforts in everything... thats why chromasia is the best!!! like I've been saying all this time "la mejor inversión que he hecho en mi vida" muchas gracias. I love the mini-psds. Being able to deconstruct the image one layer at a time and then manipulate the adjustment to see why it was used, why it was only adjusted as much as it was etc, is fantastic. Whilst you could walk us through the changes, we'd only be following blindly but being forced to try and work out why and how each step is made is a much more powerful learning tool. These supplement the regular tutorials exceptionally well. 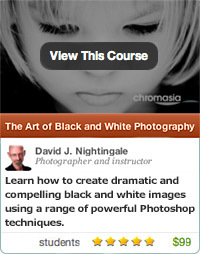 Being one of your newer Life Members, I am still getting used to the range of services offered by Chromasia. Your Mini-PSD's is, for me, a new and very creative way to learn how a Master Photographer uses his/her creative juices while in Photoshop. This offering is much appreciated. 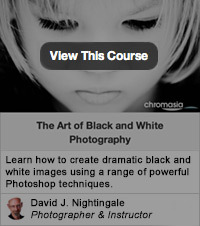 I love this new feature as part of my lifetime membership to your tutorials! I love going in and trying to figure out the reasoning behind each layer adjustment. I also like that these are not really tutorials, but involve a little bit more thought and interaction. I find myself re-setting some of your curve adjustments, or channel mixer adjustments, and then recreating them to see exactly what you're trying to accomplish with each adjustment. I also like that they aren't highly detailed tutorials because they force me to try to understand your motives without you guiding me through it or holding my hand. I very much enjoy trying to reverse engineer your thought process. Releasing weekly mini-psd files is a very beneficial addition for Chromasia members and students. The more files being explored the more each of us learns. It is a very educational approach to allow members to analyze why particular changes were made without the well written explanation. 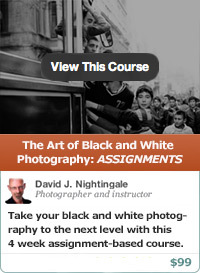 Dave has made so many great images it is almost impossible to include them all with the tutorials. By using the weekly files in parallel with the already existing tutorials this helps strength our understanding of post-processing, as each files has its own little creative twist. This is an excellent way to expand the post-processing reference library that one can have access to. I too have to agree that is an extremely generous addition and need to say thank you.